Thanks to Charlie Mullendore of Antietam Classic Cycle for sending me this information via e-mail. 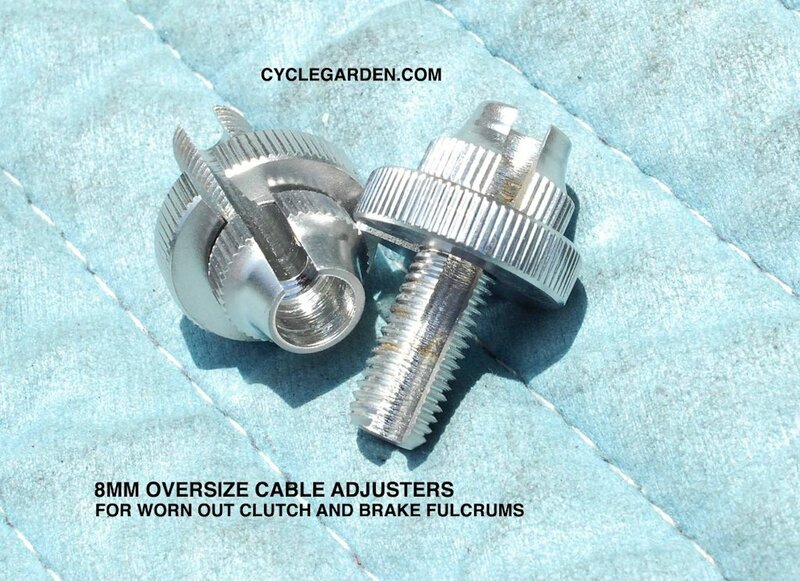 The size of the threads of the cable adjuster (where it threads into the perches that are clamped onto the handlebars) is 7 mm × 1 mm. 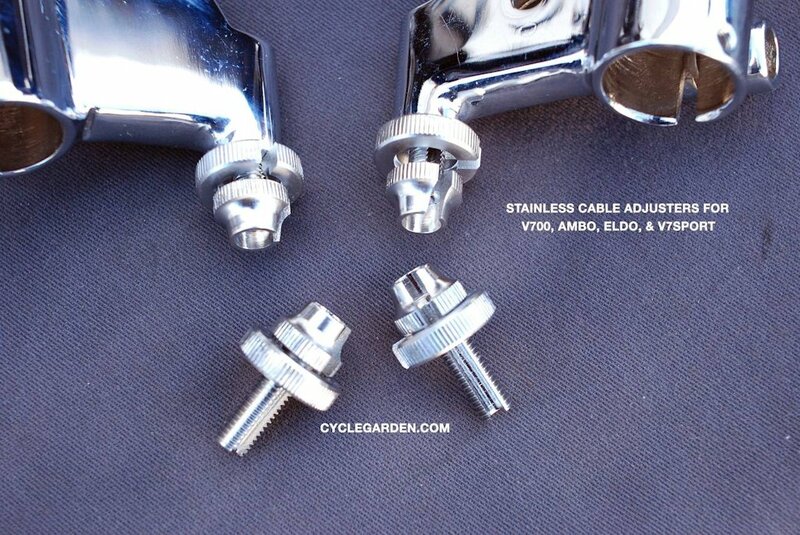 Moe Moore of Cycle Garden sells very nice stainless steel replicas. He also sells oversized 8 mm × 1 mm replicas for worn perch threads. Cable adjuster for Moto Guzzi V700, V7 Special, Ambassador, 850 GT, 850 GT California, Eldorado, and 850 California Police models. Photo courtesy of Moe Moore of Cycle Garden.